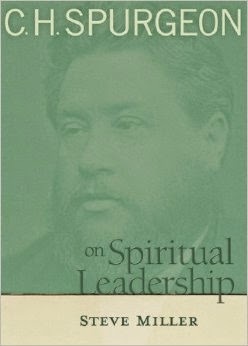 Here are two inspiring quotes by Charles Surgeon from the book On Spiritual Leadership by Steve Miller. "Sanctity in ministers is a loud call to sinners to repent, and when allied with holy cheerfulness it becomes wondrously attractive." "The serene, silent beauty of a holy life is the most powerful influence in the world, next to the might of the Spirit of God." If spiritual leaders live holy and joyful lives, Jesus and Christianity is wondrously attractive, particularly to individuals who grow up in the church. A call to bland, legalistic, holy living is repulsive. If Christianity is just a set of dry rules, young people will be turned off and walk away from their family's faith. But, as the second quote states, simple holy living is powerful. It influences more than we know and in ways we cannot fully understand. The example of consistent holy and joyful living makes Christianity and the Jesus Christ attractive to all. I just wanted to say thank you for doing what God has called you to do. I'm not a pastor's kid and I didn't even grow up in the church but I was a youth pastor full-time for 4 years and spent 4 years at a Christian University. I'm sure your book is going to have a humungous impact. I'm interested to read it myself. Thanks Erik for your encouragement. I respect you for giving 4 years of service as a youth pastor.